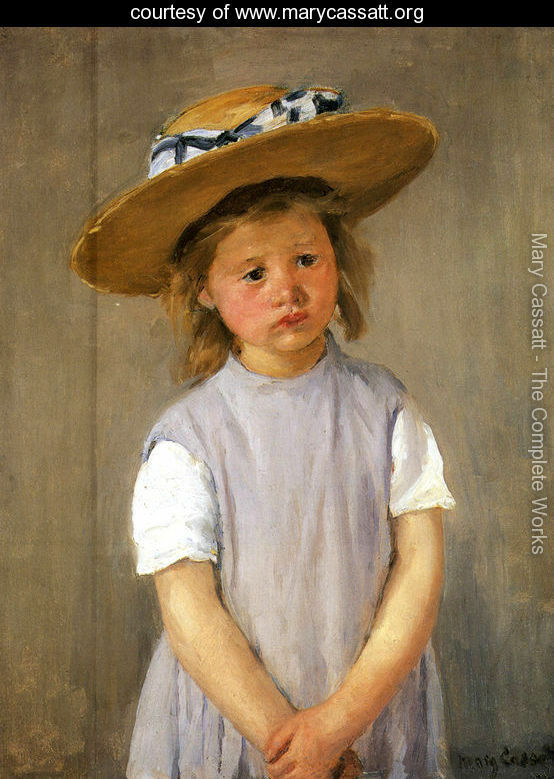 Mary Cassatt was one of the only two female Impressionists. Originally from a wealthy Philadelphia family, she moved to Paris in 1866 to study art where the this new movement was flourishing. She soon became friends with Degas and began showing her art in the independent Impressionist exhibitions. 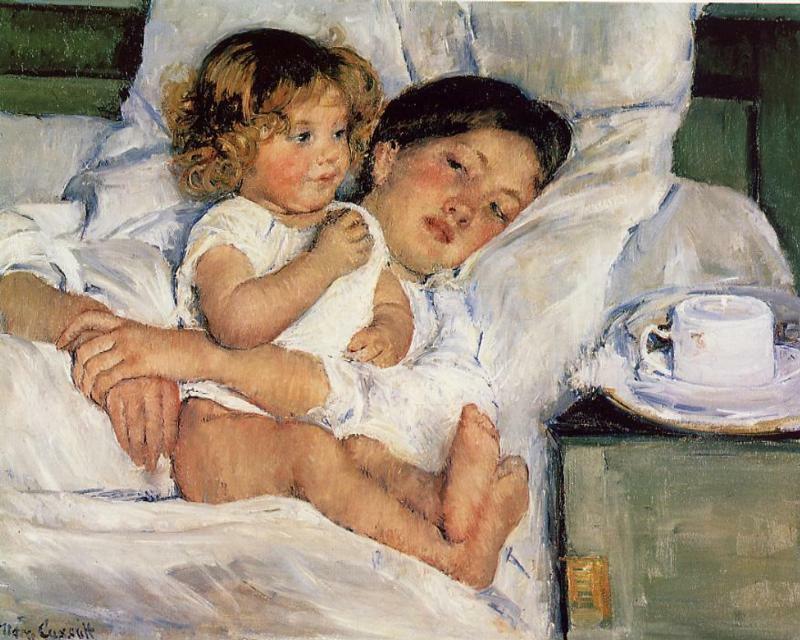 Even though she was never married or had children of her own, Cassatt’s portrayal of children is so real and natural. This talent drew me to her paintings. Cassatt regretted never marrying or having children, however she was really able to capture this wonderful gift of parenting in her paintings. 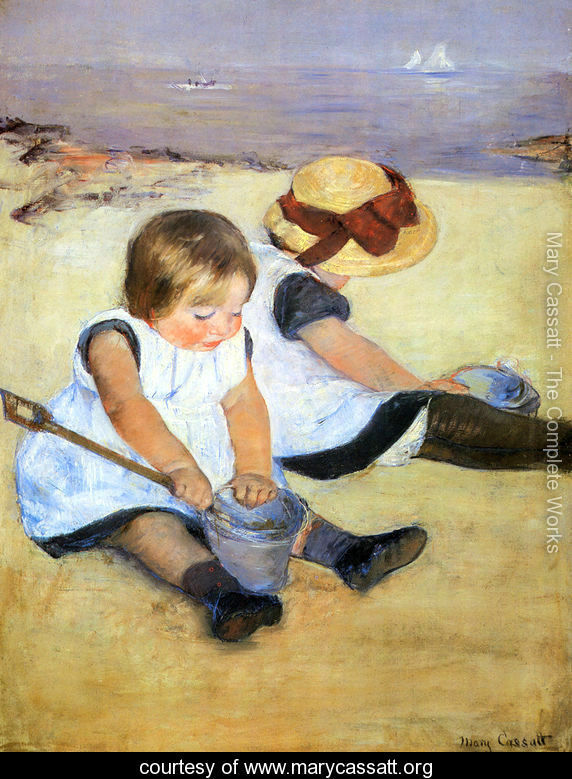 My favorite Cassatt’s are : Little Girl in a Blue Armchair(with assistance from Degas), Breakfast in Bed, Two Children at the Seashore, and Little Girl in a Big Straw Hat and Pinafore. These paintings remind me of those precious years with my own daughters and the ephemeral gift of being a part of their world. Mary Cassatt lived most of her professional life in France but very few of her paintings are found there. She even added an extra « t » to her name to give it a French style (She almost changed her first name to « Marie » but decided to keep the American spelling).